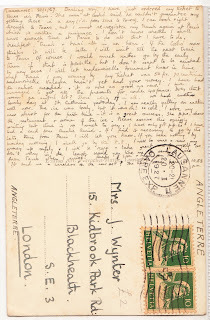 Ramblings of a Deltiologist: How many words can you write on a postcard? 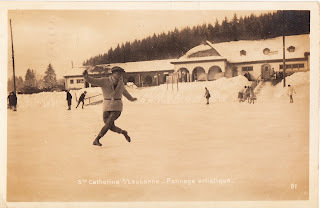 A while ago I found this wonderful postcard in a 'winter sports' section at a local postcard fair. What compelled me to buy this postcard was not the ice skater on the front, who is superb in his cardigan, but actually the amount of writing this sender had managed to cram on this postcard. 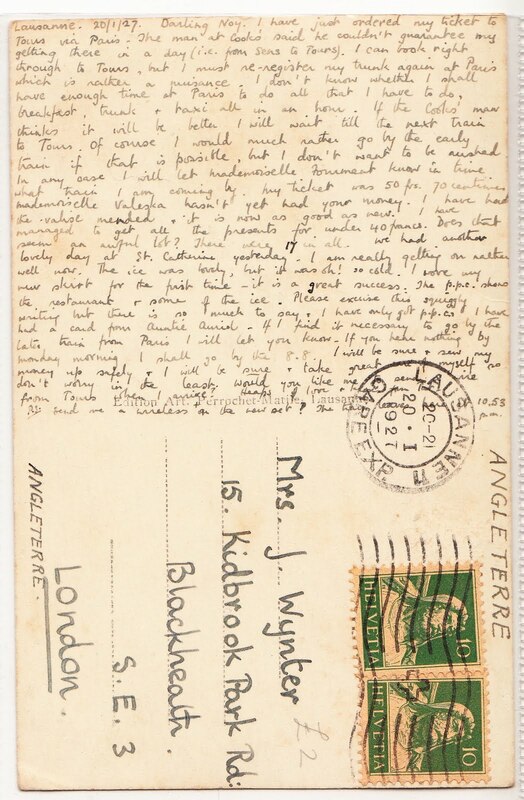 The sender managed to write 365 words about every detail of his/her travel arrangements from Lausanne, Switzerland in 1927.